Greer, Allan. "Françoise-Marie de Saint-Étienne de La Tour". The Canadian Encyclopedia, 21 July 2015, Historica Canada. 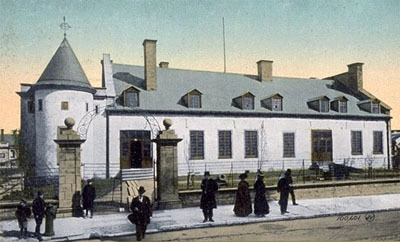 https://www.thecanadianencyclopedia.ca/en/article/francoise-marie-de-saint-etienne-de-la-tour. Accessed 25 April 2019. Françoise-Marie de Saint-Étienne de La Tour, née Jacquelin, Acadian heroine (b in France 1602; d at Ft La Tour [NB] 1645). 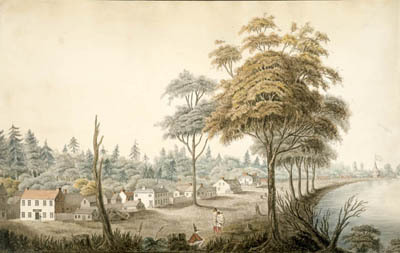 Civil war raged in Acadia in 1640 when she married Charles de Saint-Étienne de LA TOUR, one of 2 claimants to the colony's governorship. Françoise-Marie de Saint-Étienne de La Tour, née Jacquelin, Acadian heroine (b in France 1602; d at Ft La Tour [NB] 1645). 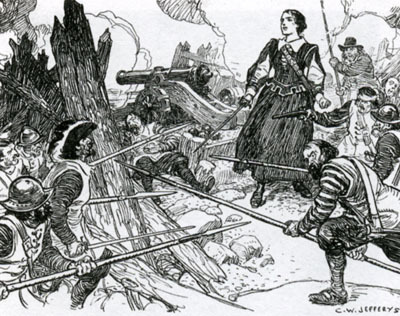 Civil war raged in Acadia in 1640 when she married Charles de Saint-Étienne de LA TOUR, one of 2 claimants to the colony's governorship. She proved to be his most courageous and resourceful supporter, travelling to France, England and Boston to secure supplies and men to fight his rival, Charles de MENOU D'AULNAY. During her husband's absence in 1645, she took command of Fort La Tour at the mouth of the St John River when d'Aulnay attacked. Despite her stout defence over 3 days, her outnumbered forces were defeated. Mme La Tour surrendered on d'Aulnay's assurance of giving "quarter to all." However, he went back on his word and forced Mme La Tour to watch, a rope around her neck, as the garrison was hanged. She died 3 weeks later.